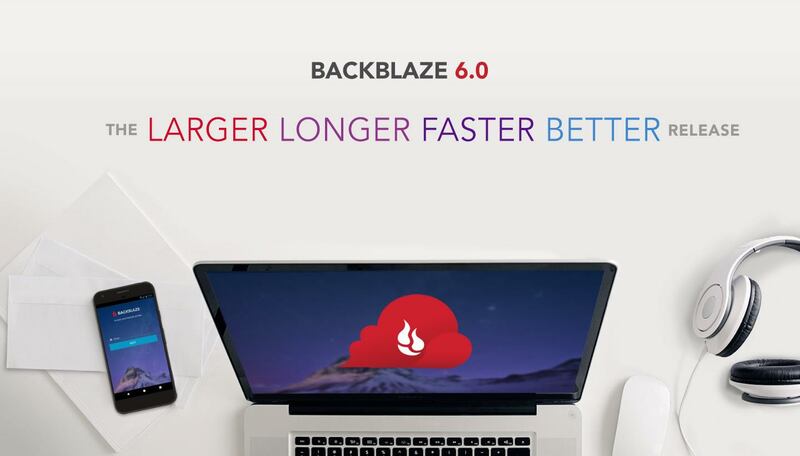 Announcing Backblaze Cloud Backup 6.0: The Larger Longer Faster Better Release! 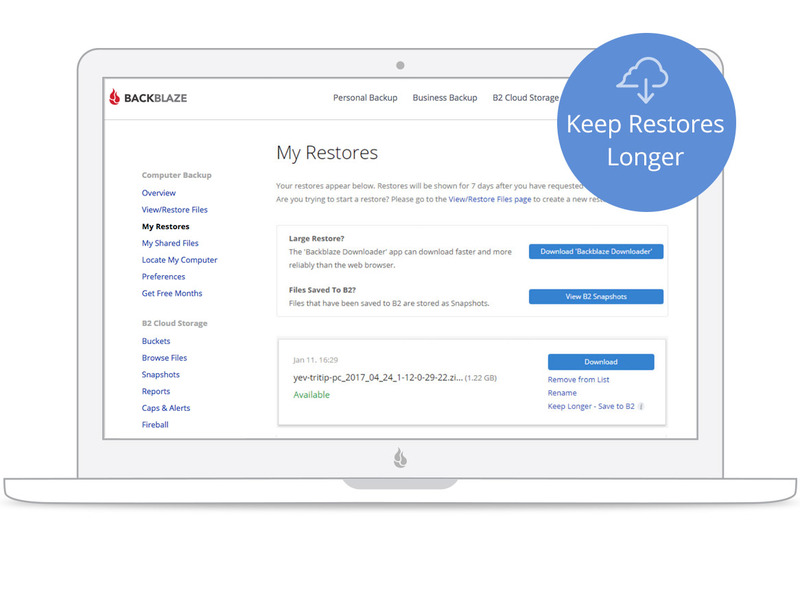 This release for consumers and businesses brings a lot of new functionality to Backblaze Cloud Backup: Restore by Mail drives that are twice the size, archiving with Backblaze B2 Cloud Storage, up to 50% faster backups, and a network blocklist feature to help avoid data caps. All that plus more efficient and performant Mac and Windows applications along with mobile enhancements and SSO support with Google. We hope you like it! The amount of data individuals accumulate each year keeps growing. 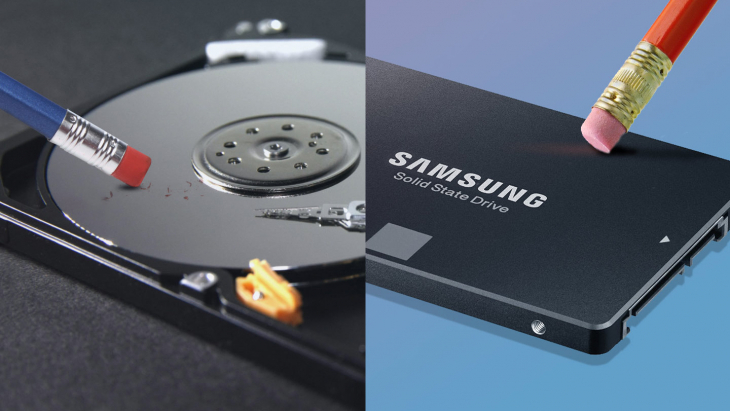 As you store more data, you need bigger hard drives to restore that data. Backblaze is increasing the capacity of our restore hard drives by 100% for our Restore By Mail feature. 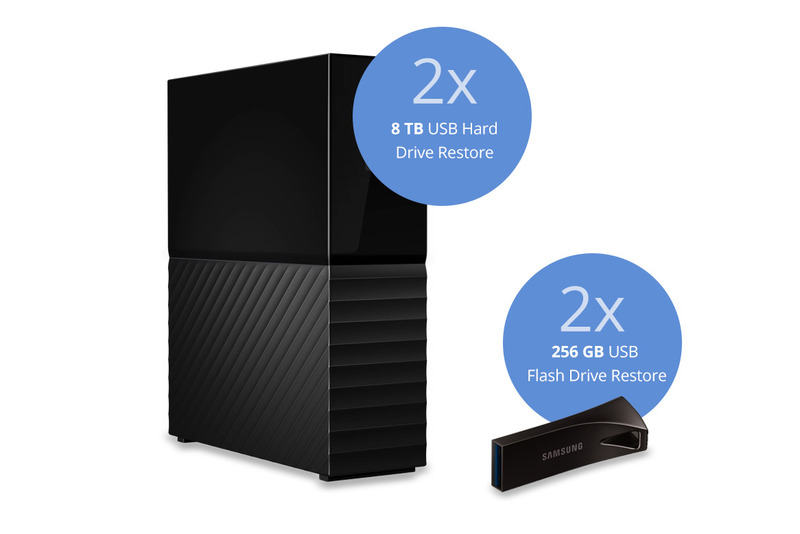 Flash keys can now hold up to 256GB and hard drives can now hold up to 8TB in restore data. Best of all, you can still use our Restore Return Refund feature to return those restore drives for a full refund. Backed up files can now be zipped and archived to a Snapshot in B2 Cloud Storage. 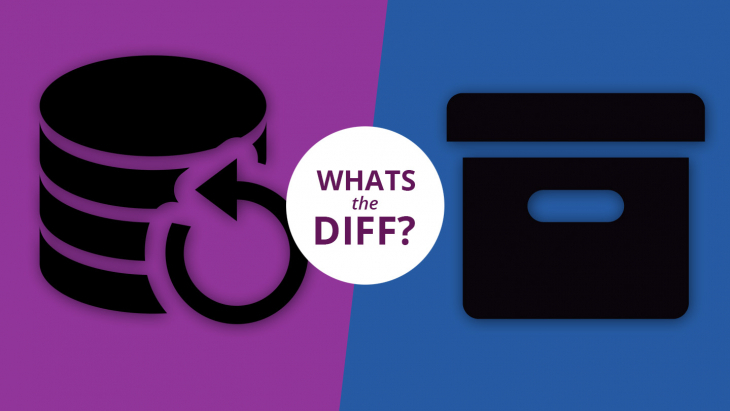 These selected files will be available until you delete the Snapshot, even if the files have been deleted from your computer and backup. This capability lets customers do new things like keep a copy of all your old computer’s data even when migrating to a new one, save a collection of files (e.g. tax returns) in the cloud as an archive, or free up space on your hard drive by moving data to a Snapshot and then deleting the original copy. Just like files in Computer Backup, your B2 Snapshot can be downloaded over the internet or delivered on a USB hard drive. Learn more about Saving Data to B2! Extend the life of your .zip restore by archiving it to B2 Cloud Storage. 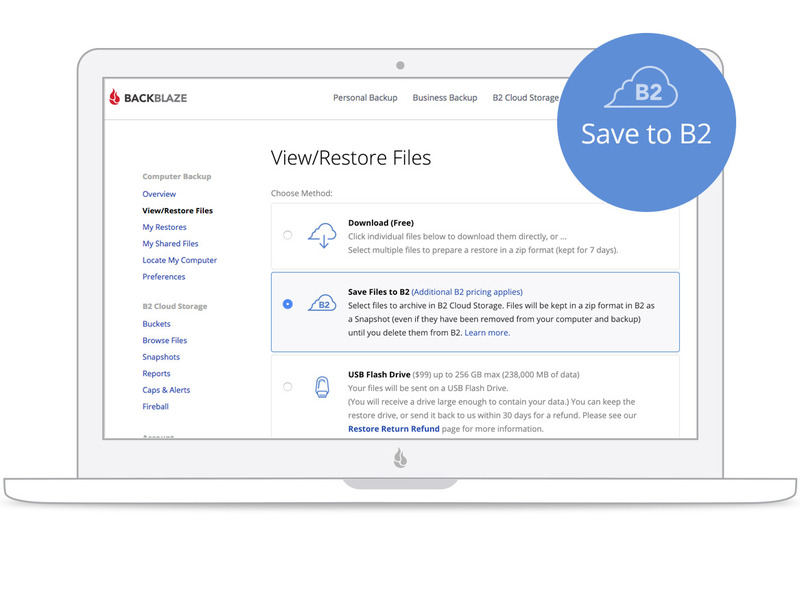 Your restore will be kept in a private B2 Cloud Storage Snapshot bucket as a .zip file until you delete the Snapshot. Use this feature if you need more time to download your restore or want to keep a permanent copy. Get the data later by downloading it directly to your computer or using our Restore by Mail service. Learn more about Keeping Restores Longer! We’ve increased the maximum upload threads to 30, creating speed increases up to 50% (depending on your computer and upload bandwidth). 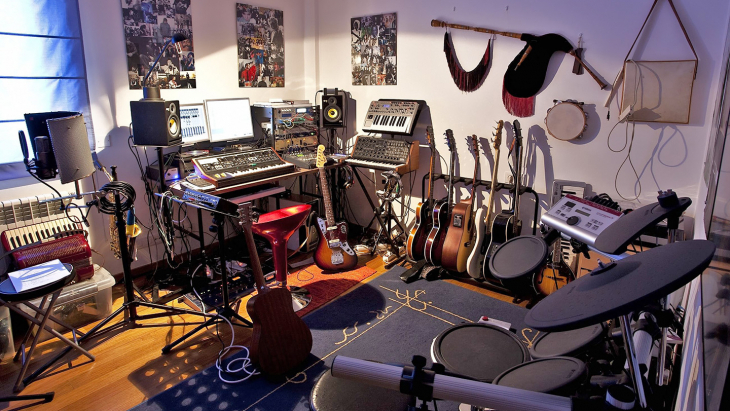 More threads allow more uploads to run in parallel thereby dramatically increasing backup speeds. Learn more about backup threads on Mac and Windows. Logging and system resource usage have been streamlined so Backblaze continues to be nearly invisible on your computer. We’re not big fans of data caps here at Backblaze, and one bit of feedback we’ve received over the last year or so was that people were blowing past their ISP’s monthly bandwidth allotment while backing up using their hotspot or mobile device-tethered internet connection. 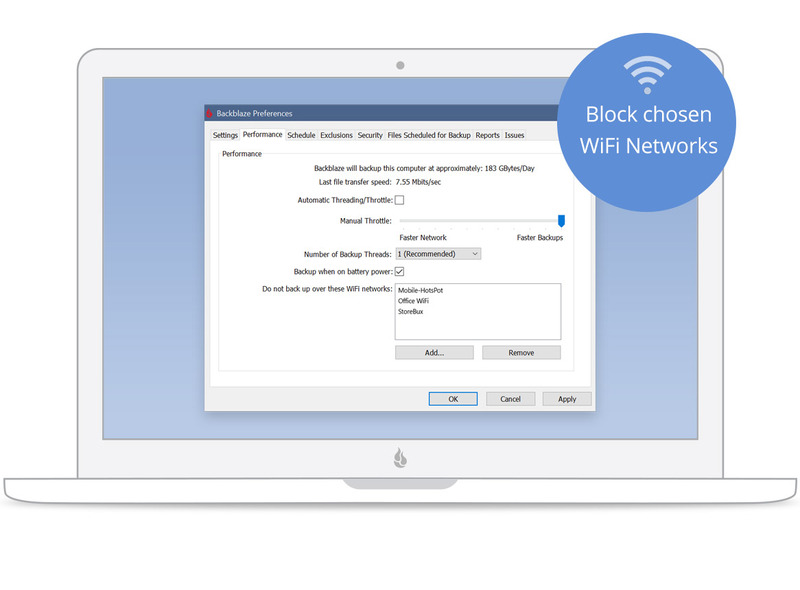 With that in mind, we’ve added a blocklist feature so you can choose to prevent backups from occurring while you are connected to specific Wi-Fi networks of your choosing. Backblaze will still transmit little bits of data (we call them heartbeats) to let us know your computer is still active, but no backups will be transmitted. 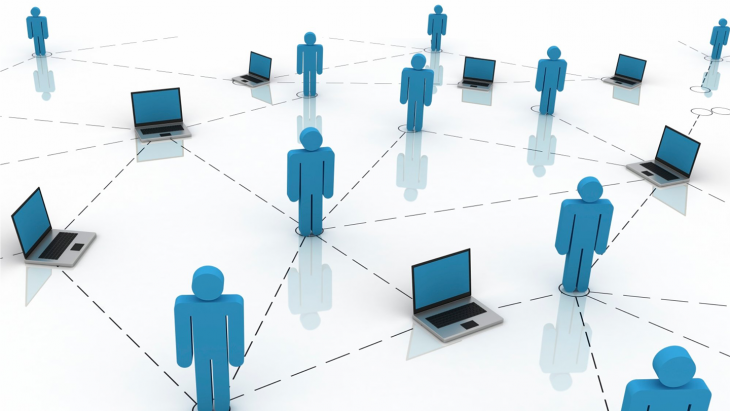 Learn more about Network Management! 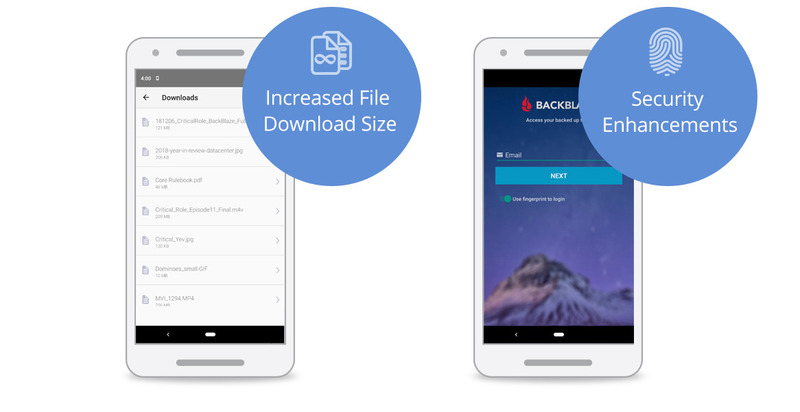 In the spirit of our increased maximum Restore by Mail hard drive and flash drive sizes, we’ve also increased the maximum size for downloads on our iOS and Android mobile apps. You can now download larger files, but keep in mind that your phone or tablet needs to have space available to hold them! We’ve spent the last few months enhancing our sign-in security choices, and with the newest versions of our mobile apps, we’ve added support for 2FV via ToTP, biometric support, and SSO support. We’ve cleaned up the mobile apps and made them a bit more intuitive to enable faster navigation and increased speed for browsing and downloading files. We’re rolling out SSO support for Gmail. 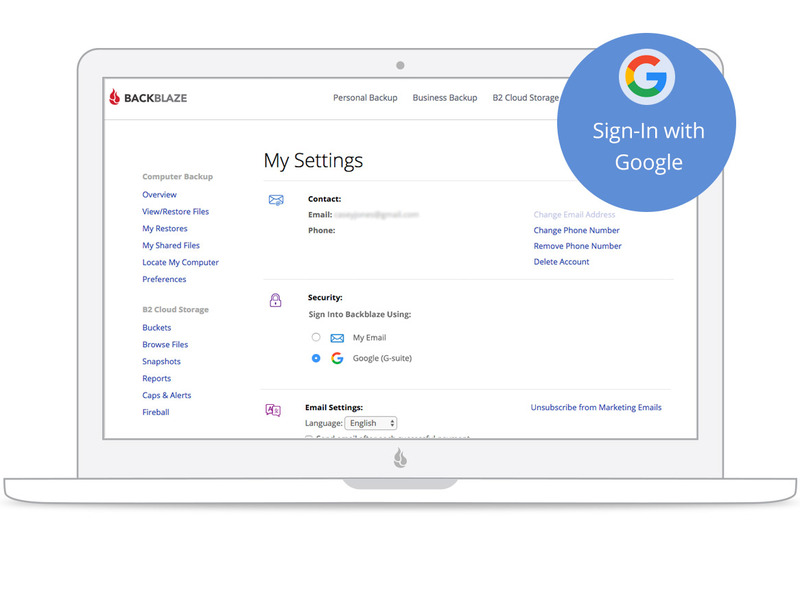 Our Backblaze Groups have had SSO support for G Suite businesses for a few months, and now everyone can use this alternate sign-in method. You can enable SSO login from the My Settings page in your account and we’ll change your login preferences to SSO with the Gmail address associated with your account. New accounts can also be created using SSO on account creation. 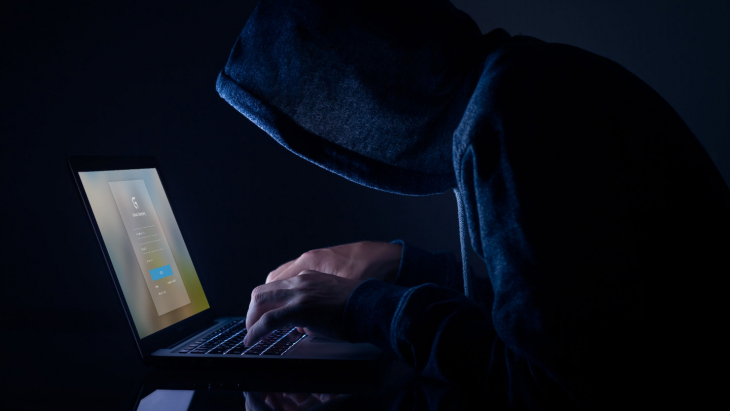 Learn more about Enabling SSO! Perform a Check for Updates (right-click on the Backblaze icon). This version is now the default download on www.backblaze.com. Want to learn more? Join Yev on a webinar where he’ll go over version 6.0 features and answer viewer questions! The webinar will be available on BrightTalk (registration is required) and you can sign up here by visiting the Backblaze BrightTALK channel. 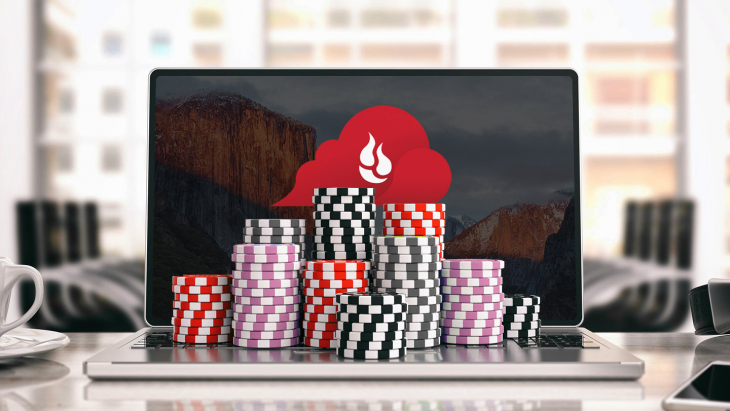 We hope you enjoy Backblaze Cloud Backup v6.0!